The Fw190 D-9, though itself already a variant of the Fw190 A, led to other versions, of which only the D-11 and D-13 saw practical use. The more "widely" used D-11 (by some sources, the Luftwaffe took delivery of 17 pieces) differed from the D-9 first and foremost in armament, missing the 13 mm machine guns, but adding two outboard wing mounted 30 mm cannon, and by the installation of the upgraded Jumo 213E, along with other improvements. 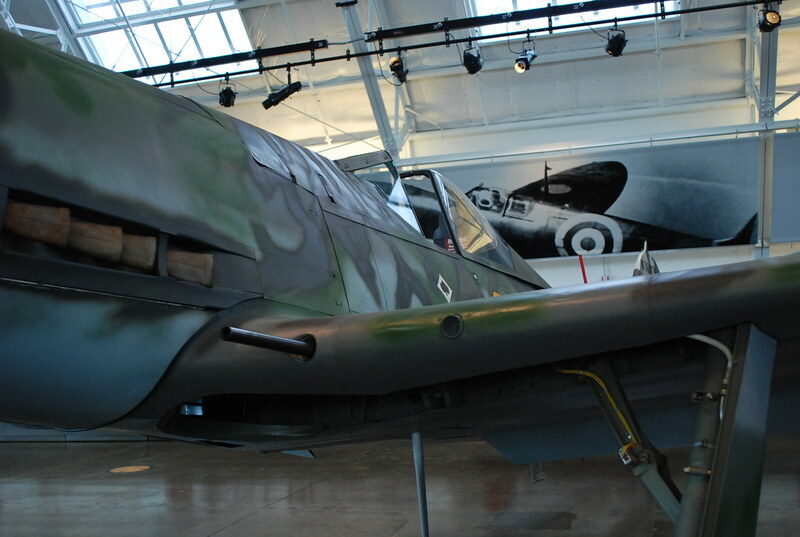 The armament of the D-11 was similar to the Fw190 A-8/R-8, which is indicative of the planned use of the type against Allied formations of heavy bombers. Out of over a thousand ordered D-13, only seventeen were built, and only a handful reached combat units. The armament installation of the D-13 was composed of two 20 mm cannon in the wing roots and one firing through the propeller hub. The D-13 also mounted relatively modern avionics. Few Doras were equipped with a larger tail unit standardized on the Ta152. Eduard's 1:48 scale Fw190 D11/D-13 Dual Combo comes in a conventional box containing two complete kits of Kurt Tank's famous "Langnasen Dora" (Long nose Dora). Included are ten olive green injected plastic sprues, two transparent plastic sprues, one big photo etched fret (pre-colored), one sheet with masks, one decal sheet and a 16 pages A4 size instruction booklet. Since the D-11 and the D-13 were variants of the same aircraft and as such very similar, all the sprues except for the wing ones (P and Q) are doubled. Indeed, the main difference between both lay in the armament configuration of the wings. So you can build one D-11 and one D-13 with this Dual Combo box. - N which holds the clear parts (no, the late style bubble hood hasn't been reworked). - P which holds the original style of wings of the D-9 kit. - W which has most of the parts for the rear engine dummy and the wing root gun bays. - Y which is mainly composed of parts for the forward round engine cowling. - Q which holds the wing parts for the D-11 (with upper gun cover and MG access panel on the underside). - V which is composed of the new fuselage halves, new supercharger intake, new upper cowling and new VS-9 propeller blade. The quality of the plastic parts is very good. There are some questions about the accuracy of the central part of the underwing though (between the landing gear openings). There could be only one MG 151/20 empty shells discard chutes opening on the D-13 and the D-11 might feature the recessed exhaust canal which was a heritage of the Fw190 A series. However these are easy fixes if you think it is important. A large photo etched fret is provided with enough parts to enhance the level of detail of both models. Most of it is destined to the cockpit with pre-painted instrument panels and side consoles as well as seatbelts. A set of masks is present in the kit for easier painting of the canopy and the wheels. The instructions are typical Eduard and are amongst the best one can find in a plastic model kit. In this case it is composed of a 16 pages A4 sized booklet printed in color featuring an history, a parts layout, a color table (Gunze), an assembly sequence spread over 8 pages, color and marking guides spread over 5 pages and a stencil guide. A - Fw190 D-11, W.Nr.2200XX, Lt. Karl-Heinz Hofmann, Sachsenberg Schwarm of JV 44, München - Riem, May 1945. B - Fw190 D-11, W.Nr. 2200XX, VFS des G.d.J., Bad Wörishhofen, March - April 1945. C- Fw190 D-11, W.Nr. 220014, VFS des G.d.J., Bad Wörishhofen, April 1945. D - Fw190 D-13, W.Nr. 836016, V./EJG 2 (? ), Pilsen - Bory, Czechoslovaquia, May 1945. E - FW190 D-13/R11, W.Nr. 836017, Stab./JG 26, Flensburg - Weiche, Germany. F - FW190 D-13/R11, W.Nr. 836017, Flensburg - Weiche, Germany, summer 1945. The first machine is one of the colorful JV 44 Doras with the famous red underside with white lines. The second option proposes the same machine in it's earlier state when it was used by the Verbandsführerschule des General der Jagdflieger which was founded by Adolf Galland. Option C is very similar to the previous one. Option D wears the high contratst RLM 76 (light grey?) and RLM 81 camouflage pattern of the Weser Flugzeugbau on the wings while the last one (options E and F) had the same darkened with RLM 82 and RLM 83 colors. As you can see, a large spectrum of camouflage shemes are offered in this Dual Combo box. Eduard have once again produced a very attractive boxing for Luftwaffe fanatics. I can't imagine that anyone interested in the Dora variant of the Fw190 will not want to get this Dual Combo box. Let's hope that the Czech manufacturer will do something similar with the JV 44 D-9s. Lows: Questionable central panel of the underwing. Verdict: This is a great Dual Combo boxing once again from Eduard and a unique possibility to add two late variant Doras to your collection at the same time. Highly recommended! From the D13's photo,it looks like a small bulge in front of the cockpit . Dose the model have the feature ?